It is completely wireless, wire-free thanks to the rechargeable battery that comes with WiFi connectivity. You do not have to bother installing wires or drilling screws, you no longer need to run into trouble of havng to install complicated equipment for a single use, thanks to this device none of that is in the case, you can place it anywhere in the room, it is compatible and simple to install. The highly sensitive PIR sensor captures everything in motion, once motion is detected the device itself will begin to record, you will be automatically informed from any motion using the Alarm function, you can even scare of the unwanted using the Alarm function. The device lets you live stream once motion has been captured, giving you an insight into the intruder and what he is doing. The built-in MIC communication will enable you to cover and protect your area full time through that functionality, you can listen remotely, thanks to this functionality, giving them an uninviting welcome to your property. 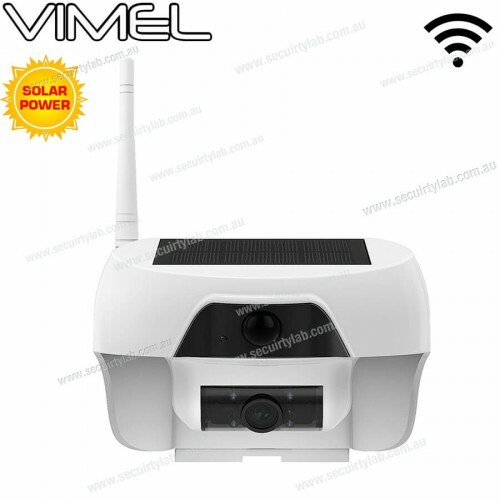 You will be able to easily access this device anywhere in the world and even at any time, the camera is wireless and supports WIFI connectivity which give you the access to the live streaming feature reinforcing the security over your property. The built of the device and the mount that comes with the setup is fully weather-resistant. You can easily adjust and customize the setup of the angle to your most desire position for the best result. You will be able to mount and adjust the device anywhere outdoor, the device specifies in outdoor security, providing fulltime surveillance day and night.